Daughters watch their mothers. All over the world, girls are looking to their mothers for instructions on how to live, how to care for others, and what to think of themselves and their place in a family and society. In Kotohashawa, Ethiopia, a young girl name Mako Burka is learning something new. Lifewater is working with Mako’s community to help them get safe water and healthy homes. Mako, her sister, and her mother used to take at least one trip each day to gather water. They walked over 3 miles on each trip and the only water they could gather was shared with animals and contained worms that caused considerable pain. Because of your generous support, Lifewater was able to help her village of Kotohashawa. In fact, your support helped build a new spring cap that provides a consistent source of safe water right near Mako’s home. Mako’s mother is on the water committee, a group of volunteers chosen by the community to ensure the maintenance of the water source. In many communities, the water committee is the first position of community leadership occupied by women, and Mako’s mother is setting an example for her daughters with her capacity to lead. 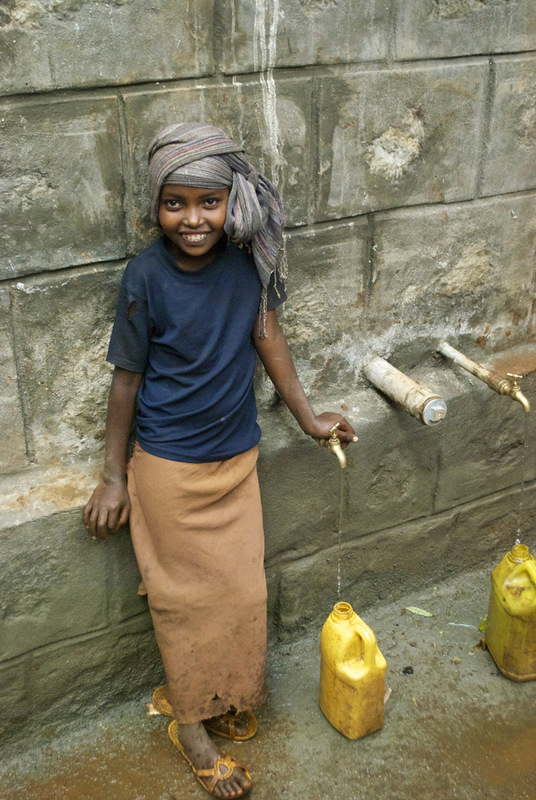 Mako wants to be on the water committee when she grows up, and her mother will help ensure a safe water source can be passed on to her generation. Mako’s more immediate goals? To help her school get a source of safe water and latrines so she can complete her education and become a teacher. Thank you for enabling Mako’s mother to set an example of confidence and leadership, and for giving Mako a reason to expect the same from herself.